A Thing (or Two) About Holly Jean: Saving Cupid Holly! With Valentine's Day approaching, it's time to treat one lucky reader (couple) to a magical Valentine's experience! 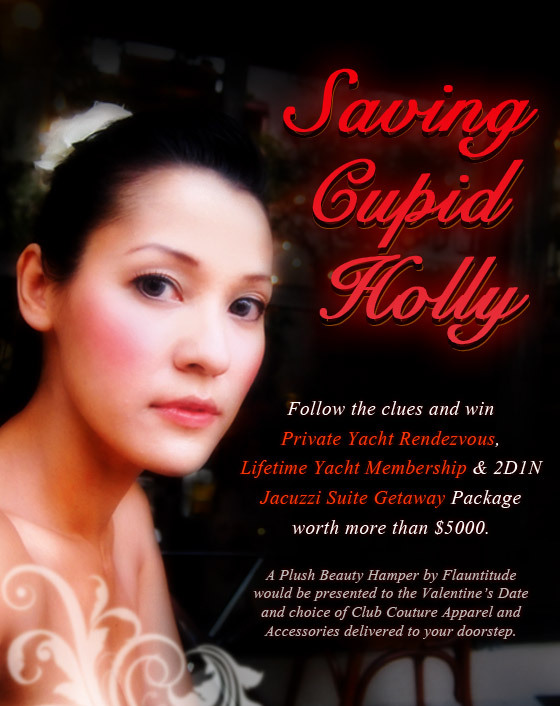 This includes - a Private Yacht Rendezvous into the Sea, Lifetime Yacht Club Membership and 2D1N Jacuzzi Suite Getaway Package plus a Plush Skincare and Beauty Hamper by Flauntitude and Choice of Club Couture Apparel and Accessories Delivered Right To Your Valentine’s Date Doorstep. Worth more than $5000! You want? You want????? It's a fabulous magial valentine's experience that's been thoughtfully put together by the NCS team and I. If you have no date and you're a girl... then take me!!! 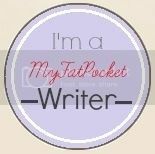 There are 4 of my get her articles where you can find Cupid. Click here to see the 4 clues (titles). Mouseover on cupid to reveal a word. After collection the 4 words from the 4 clues(titles), scramble it to figure out what article the clues point to. Once you have found the Article title, then go to the Submission page to key in your answer. Btw, you need to be logged in (registration is free) before you can see the "Click here to enter contest" button. Hope no one remember their NS portal log in and i'm the only one who joined! Yay!